AES will be participating in the nordic collaboration amongst other nordic actors. A great initiative to discuss and learn from other nordic NGO’s and architectural firms. To read more follow South of North website. 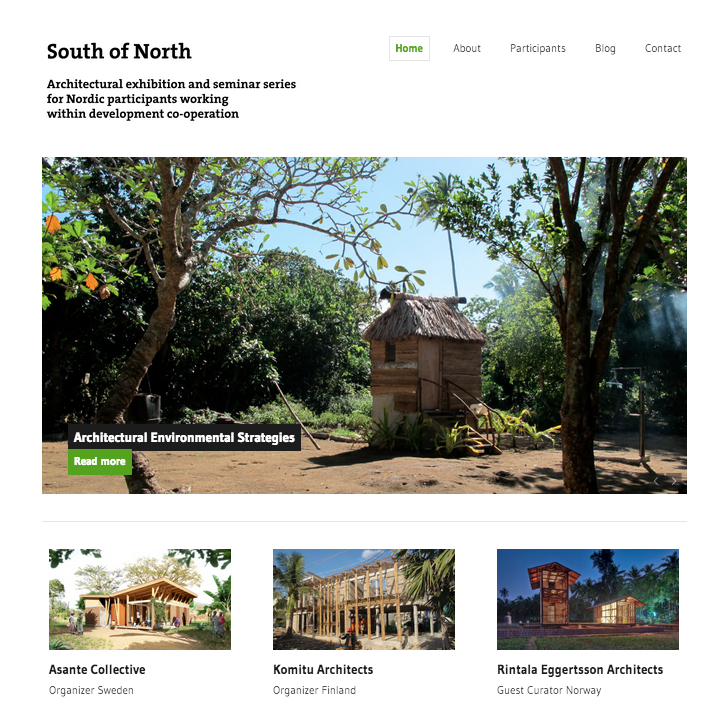 “During the last decade, young architects especially in northern countries have been using their professional skills to alleviate poverty in the developing world. We, who share all the possibilities, wish to provide those for others. A physical building, erected in a poor neighborhood, is a strong manifestation of a better future.